IS THIS ISAIAH’S PROPHECY OF GOD’S JUDGMENT ON EGYPT? 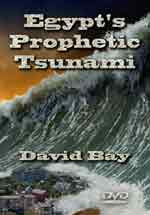 “Egypt’s Prophetic Tsunami”, one of the judgments God delivers against Egypt in Isaiah 19 is unprecedented Civil War! Isaiah 19 foretells two major events occurring in Egypt that will deliver her End Times destruction. These two events are: 1) Her government will turn severely dictatorial and will oppress the people. This oppressive government will spark a civil war in which Egyptian kills Egyptian; 2) The Nile River will inexplicably rise up in huge volume and will destroy Egypt’s ability to feed herself. Ethiopia’s Renaissance Dam is so poorly designed and built that it could burst, sending a tsunami wave all along the Nile River in Egypt. But that’s not the end of the story. God will cause this civil war to result in the most severe Absolute Dictatorship imaginable. When you read this prophecy, you have to wonder if the Muslim Brotherhood might be swept back into power. Make no mistake about it; President Sisi is stirring up intense hatred from supporters of the Egyptian Brotherhood. Civil War is a logical outcome if Sisi carries out executions of several hundred dissidents. This strong reaction attack was accompanied by warnings of several top Middle East officials that Egypt will face exceedingly strong reaction if they do execute Morsi. As we see more end time Bible prophecies being fulfilled, our confidence in the authority and truth of God’s Word (The Bible) is strengthened and hopefully will result in more Christians being challenged to speak out the Gospel of Christ boldly and courageously.